Recent trends in the legalization of recreational marijuana and the increased marketing of Cannabidiol (CBD) containing products have led to these products garnering attention as possible pain treatments. Proponents of these products promote their pain relieving properties as well as the possibility that their use could decrease the usage of opioid pain medications or wean off opioids.1 While there are some conditions that have been found to be effectively treated with these products, research into their pain relieving abilities is still limited. While there is a lot of hype about marijuana and CBD, their effectiveness in treating pain in still uncertain, and furthermore, they may not be as harmless as previously thought. The number of CBD products available on the market, including tinctures and topical oils and creams is skyrocketing. CBD is available to purchase in most states and online because it can be readily obtained from hemp (a legal cousin of the marijuana plant).5 Because the FDA does not regulate the purity and safety of CBD containing products, however, what you see on the label does not always reflect what is in the bottle. While CBD shows promising results in treating some seizure disorders, its effectiveness in treating pain is not yet known. Most of the studies on CBD for pain are animal studies. For example, a study from the European Journal of Pain showed CBD applied on the skin in a rat model could help lower pain and inflammation due to arthritis.6 There are only a few human studies available which are either case reports or do not compare the results against a control group not using the compound. 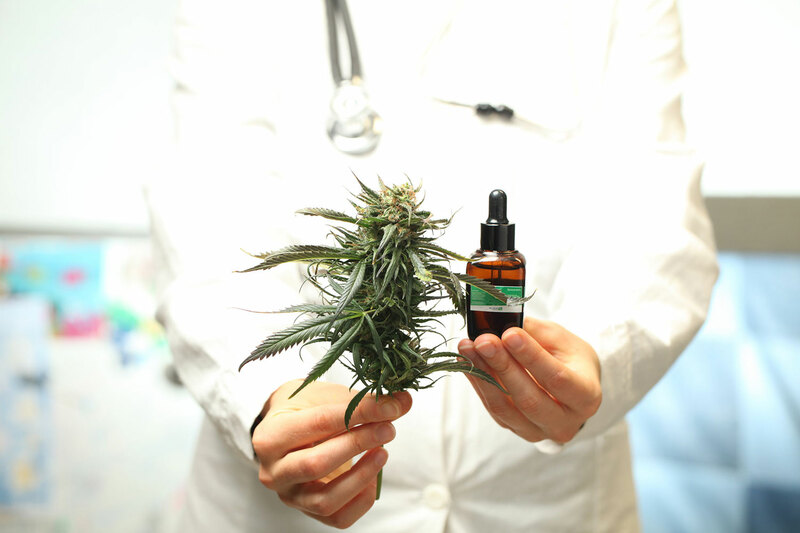 Therefore, further research is needed to determine the efficacy and safety of CBD.7 In addition, it is important to note that while CBD does have side effects including nausea, fatigue and irritability; in addition, it can potentially interact with medications, such as blood thinners like Coumadin and can also raise liver enzymes. Medical marijuana clinics are popping up all over town, and the CBD industry which is now $200 million has doubled in size over the last two years. Along with this popularity, there is a lot of hype surrounding these products for treatment of pain, however in this case the hype may have gotten ahead of the science. There is still a lot of confusion about how THC and CBD work and what they even do exactly. Ultimately, there are more questions than answers.8 As marijuana and CBD usage increases globally, it is important that large well designed clinical trials are conducted to determine their safety as well as their efficacy in treating pain. Until then, there is simply too little evidence to make a firm conclusion.